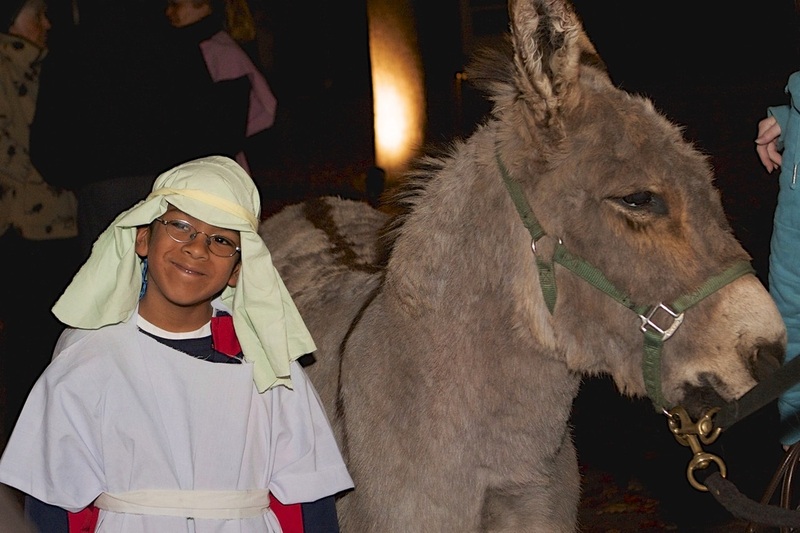 Once a year, we transform our church into the town of Bethlehem on the night that Jesus was born, complete with live animals, authentic food, crafts for kids in the marketplace, and the arrival of the Mary, Joseph, and the baby at the end of the evening! Join us on Sunday, December 9 from 5:30 to 7:00 p.m. for a magical night of Christmas fun for all ages. Tuesday, December 11, 1:30 - 3:30 in the Social Hall. Please come and bring a friend to an afternoon of tea and tasty treats. We will be entertained by vocalists Hugh and Debbie McDevitt. The finale will be our singing our favorite Christmas Carols led by Dave Howell and accompanied by Joe Guthrie. On Sunday, December 16 at 10:00 a.m. all children and youth are invited to participate in this annual re-telling of the Christmas story. All participants in the pageant will rehearse together on December 9 after worship. 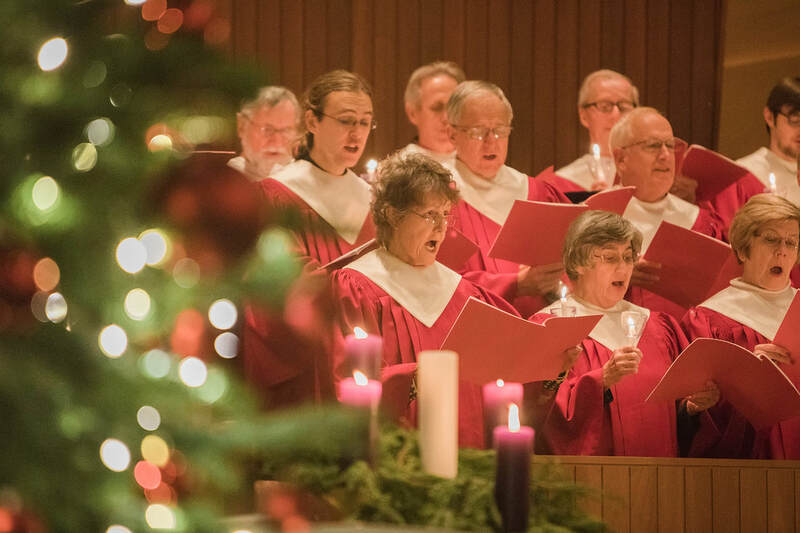 Sunday, December 23 at 10:00 a.m. Come to a music-filled worship service led by our choirs and the Oxford Street Brass, ending with the congregational singing of Handel's "Hallelujah Chorus". Nursery School Scholarship Bake Sale: Sunday, December 16 after worship. There will be a plethora of home baked treats wrapped up in fancy packaging for the holidays! On Christmas Eve, December 24, join us for one of our most beloved family traditions. Christmas Eve Family Services are held at 3:30 and 5:00 p.m. featuring our Cherub, Children and Youth Choirs. 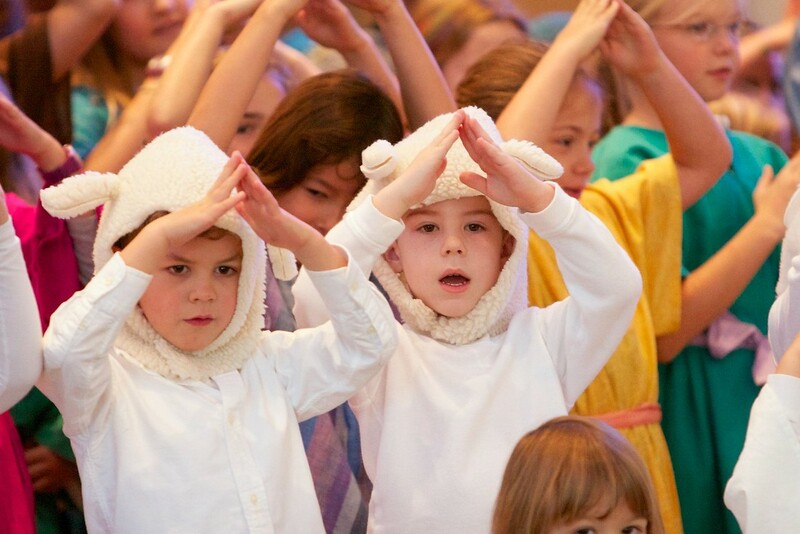 Our Children help tell the story of Christmas as we assemble our crèche, Clarence the Camel pays a special visit, and we sing all your favorite carols. On Christmas Eve at 10:00, our chancel choir sings a traditional lessons and carols service, held in candlelight. FCCPA Families Helping Families: Warehouse Gift Sort and Wrapping Volunteering Sign-Up is Open! Join other FCCPA families as we sort and wrap gifts collected by the Family Giving Tree to local families in need this holiday season. Sign-up (50 total people). Donate (each participating family is asked to donate $50). When: December 16, 12-2PM. Where: TBD but likely in a warehouse south of Palo Alto Please contact Kim Blanding if you have any questions. At our Christmas Festival and Christmas Eve services, we will receive a special offering for the Christmas Fund of the UCC. This fund supplements the small pensions of some UCC clergy and lay employees and their families and supports active clergy and lay employees who have medical emergencies.